Thanks to the NH Magazine for such a wonderful article. Please take a moment to skim past the first section about Jason and get the good part of the article about golf (Jason, you know I love you). The article includes some interviews from a few VAGA members and some really nice pictures. What a great first year!!!!!! The Veteran Amputee Golf Association would like to thank everyone for your role in helping to get this organization off the ground. Thanks to the support of many, we experienced an extremely successful first year. Thank you to all of the Veterans for your involvement with the organization. Your courage and ability to overcome adversity is the motivation behind our success. Thank you to Loudon Country Club and Legends Golf for allowing our members use of your amenities. Our organization wouldn’t exist if not for your continued support and generosity. Thank you to all of our generous sponsors — particularly Next Step Bionics & Prosthetics and the DAV Silver Star Chapter # 3. Your generosity and support has made this all possible. We are encouraged by the overwhelming support received from local businesses and individuals interested in seeing this organization succeed. Thank you to all of the individuals that participated and volunteered to help in this year’s tournament. 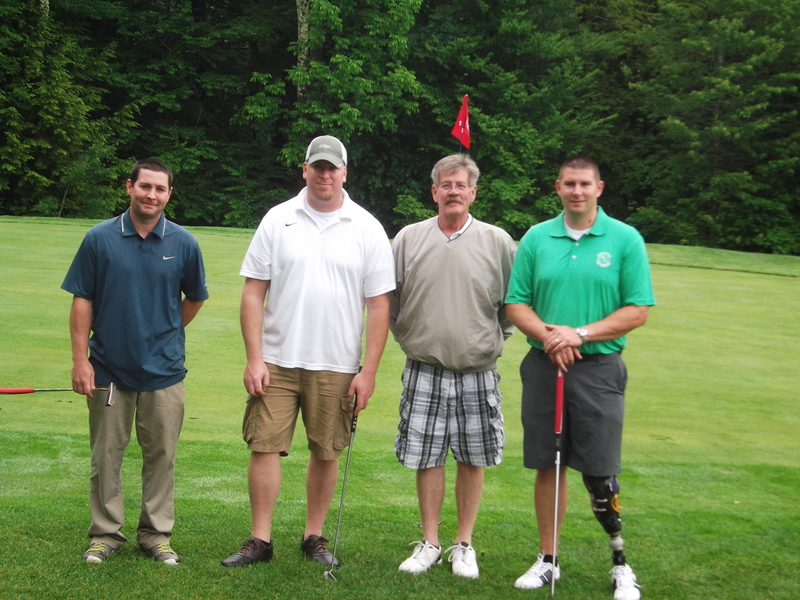 The 2013 Veteran Amputee Golf Classic was a huge success thanks to each of you. We are looking forward to the possibilities moving forward. We will keep everyone updated as things progress during the offseason.